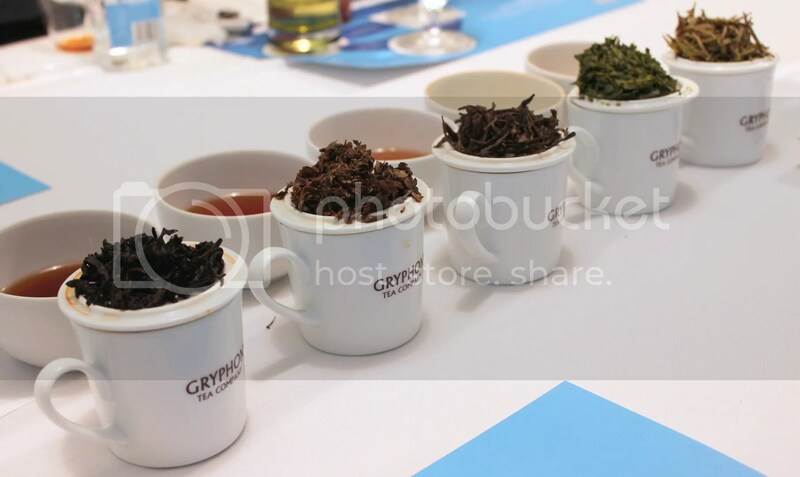 About a week back, I was invited to a tea & water tasting session hosted by Gryphon Tea Company. I was pretty excited because I’m more of a coffee person (ever since 10 weeks ago when my internship first started) and my knowledge on teas was as voluminous as an empty teacup, so this was definitely going to be a great opportunity to pick up some pointers from tea master Mr Lim Tian Wee, Founder of Gryphon Tea Company and our host for this afternoon. Before we got started on the tea tasting, Tea Master Lim mentioned that there are 2 critical aspects in making a good cup of tea. 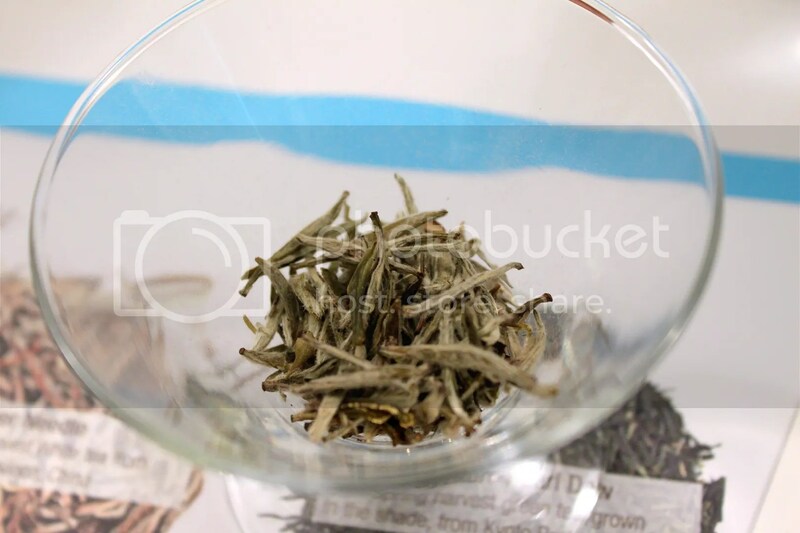 Firstly, the tea leaves must be fresh and of high quality and secondly and the type of water used to brew the tea must enhance, not overpower the delicacies of the tea’s natural flavours. With that in mind, Tea Master Lim recommends the use of Fiji Water, which he feels has a distinctly soft texture and balanced mineral profile that does not interfere with the aromatic tea flavours. 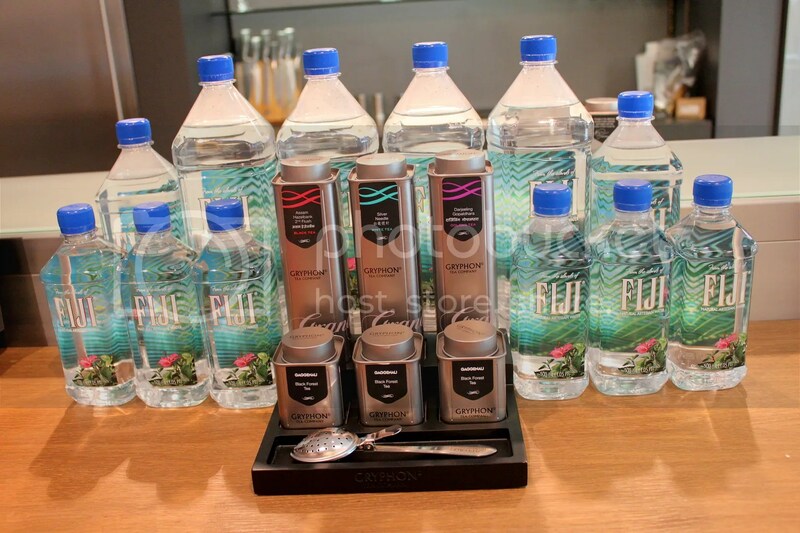 To let us better appreciate what he meant, we compared Fiji Water against Evian Water and Distilled Water. While most of us can differentiate between Distilled Water and Mineral Water, what exactly is the difference between Fiji and Evian? Aren’t they both just mineral waters? Well, Fiji Water is categorized as an “Artesian water” while Evian is a “Spring water”, and the difference is that Artesian waters are found underground while Spring waters are sourced from exposed open springs. I have not sampled enough types of artesian waters to make any concrete judgments but from the water tasting, the general consensus was that Fiji had a cleaner and more refreshing taste with a softer texture compared to spring and distilled water, with the perfect characteristics for brewing tea. As we all know, taste is subjective so Fiji water might not be the best type of water for everything under the sun. 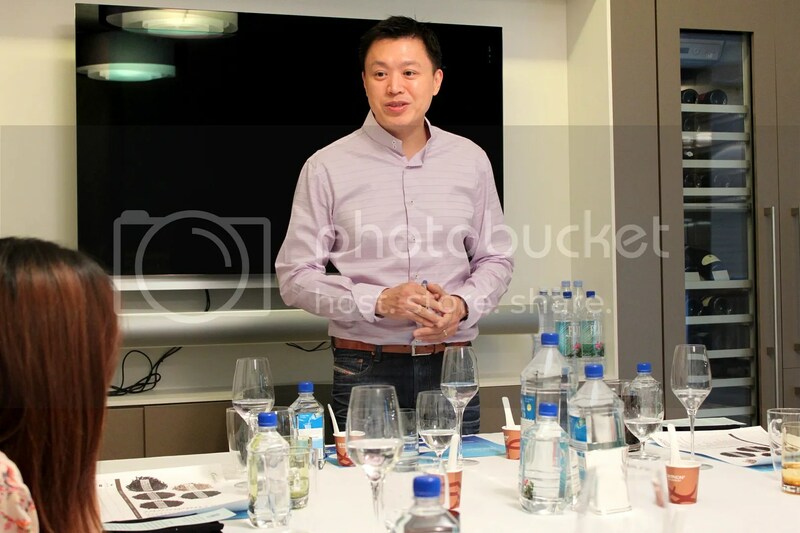 Since we are on the subject of water, let me digress a bit and talk a bit of what I learnt during a Wine & Water tasting session I attended earlier this year at the Savour Singapore 2012 event. 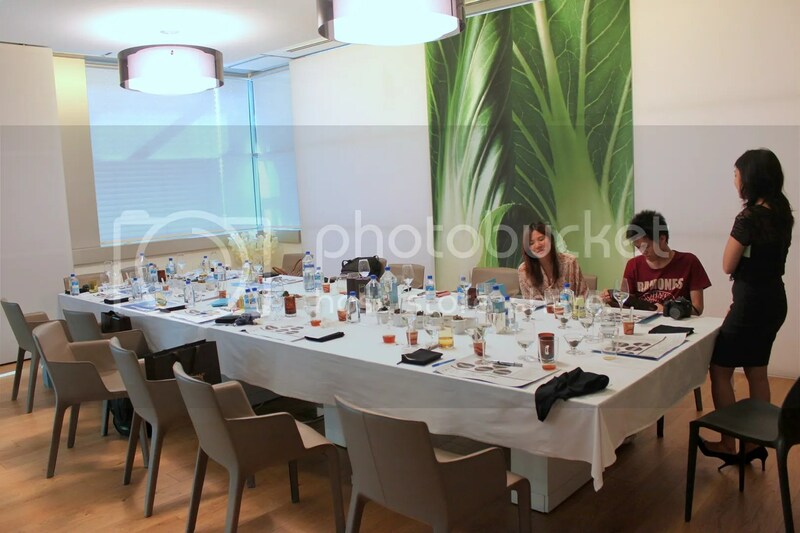 I got to compare San Pallegrino and Acqua Panna to Tap water, and subsequently paired them with wine and some food. What I found out was that like wine, the type of water you drink (whether sparkling or still) complements certain foods better than others. For example, Burrata cheese goes really badly with San Pallegrino (a sparkling water) in my opinion. And if you plan to open a good bottle of wine, my advice is not to allow any residual tap water to remain on the wine glass when pouring the wine in, and to open a bottle of mineral water for your water glass instead of drinking tap, as tap water has a metallic taste (easily detectable when you compare it to mineral water) that will interact with the wine flavours. But enough about water. Let’s talk a bit about teas, the highlight of this post. Just a random fact but one common mistake most people make is believing that Earl Grey is a type of tea leaf. It actually is a tea blend that is flavoured with bergamot, a flavour of tea rather than a type of leaf. Gyphon Tea Company has 24 types of single origin teas and we sampled 5 types of teas today from various regions. Just like wines, teas can come either as blends (leaves from different countries or regions mixed together) or from single origin (sometimes referred to as single-terroir tea) and what we tried today were all single origin teas. Single origin teas do not necessarily mean that the tea leaves are harvested from the same tea estate, as in some countries like Japan, tea plantations are relatively small in size so a tea factory might be required to source from several tea plantations within the same district. If a specific type of tea does come from the same estate, you can then call them single-estate teas. I believe the same naming conventions is similar for wines as well. Next, we had the Gyokuro Pearl Dew from Japan, regarded as one of the highest quality and expensive varieties of sencha. The difference between sencha and matcha is that the tea leaves are grinded into a powder form for matcha while the leaves are ungrinded for sencha. Unlike typical sencha, the Gyokuro has to be put into the shade for around 2 weeks before it is harvested. As the rate of photosynthesis is reduced, there is a buildup of the amino acid theanine as less theanine is converted to other compounds. This gives rise to Gyokuro’s distinctive umami flavour which pairs well with sushi and stronger tasting cheeses. We then tried the Dan Cong Magnolia, an Oolong Tea from Guangdong, China. This wasn’t my cup of tea because the scent was a little pungent. Next we had the Darjeeling Margaret’s Hope from North India, which would be my 2nd favourite choice after the Silver Needle. While the tea we had is marketed as a black tea, Darjeeling can also be found elsewhere as an oolong or white tea. It all depends on the extent of oxidation of the tea leaves, with the black teas being the most oxidized followed by the oolong and then the white teas. And just like wines, tannins (the compound that gives wine its bitter and dry feel) are found in tea leaves as well. According to Tea Master Lim, if a tea has high levels of tannins, milk can be added. The milk proteins will bind to the tannins and make the tea less astringent and bearable. As this Darjeeling tea isn’t very high in tannins, Tea Master Lim suggested not adding excessive milk as it will overwhelm the tea’s flavours. Lastly, we sampled the Vintage Pu’Erh from Yunnan, China. The flavours are quite subtle and mellow for this one, with a light minty fragrance. 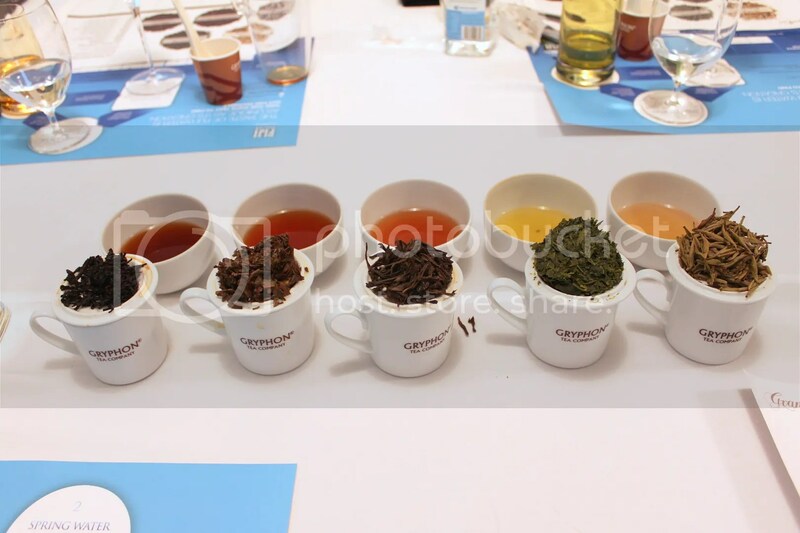 Before we officially concluded the tasting, we were also given 1 flavoured tea to try – Blackforest Tea. This black tea is something I would possibly buy as a gift for others, as it has a very interesting aroma with notes of chocolate, whipped cream and cherry Kirsch and smells totally like a blackforest cake. I would definitely love it with a nice fruit cake on a lazy afternoon. Special thanks to Gryphon Tea Company for the invitation! I’m really impressed with your writing skills as well as with the layout on your weblog. Is this a paid theme or did you customize it yourself? Anyway keep up the nice quality writing, it is rare to see a nice blog like this one these days.